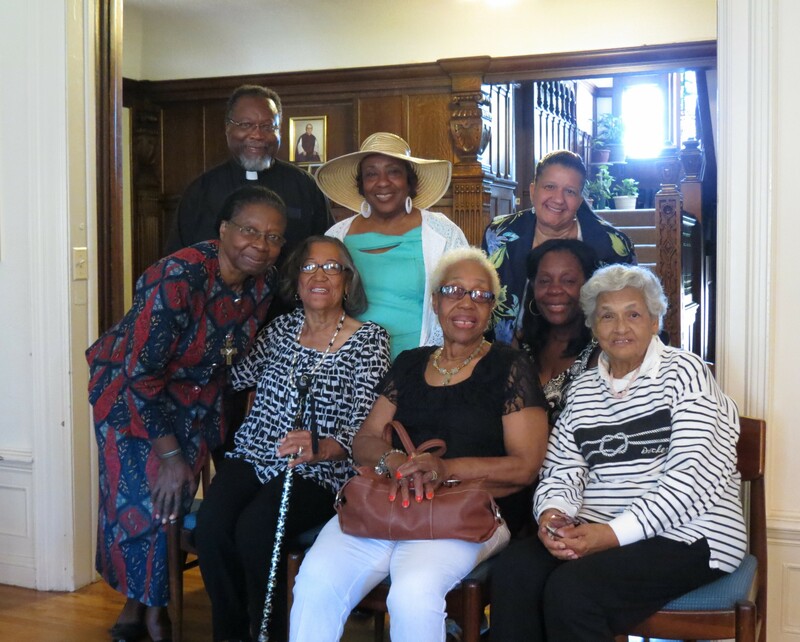 A tea was held at the HVM convent in Detroit on June 22 for Sr. Elizabeth Harris, visiting home to Detroit from Nigeria, where she has served for 13 years. 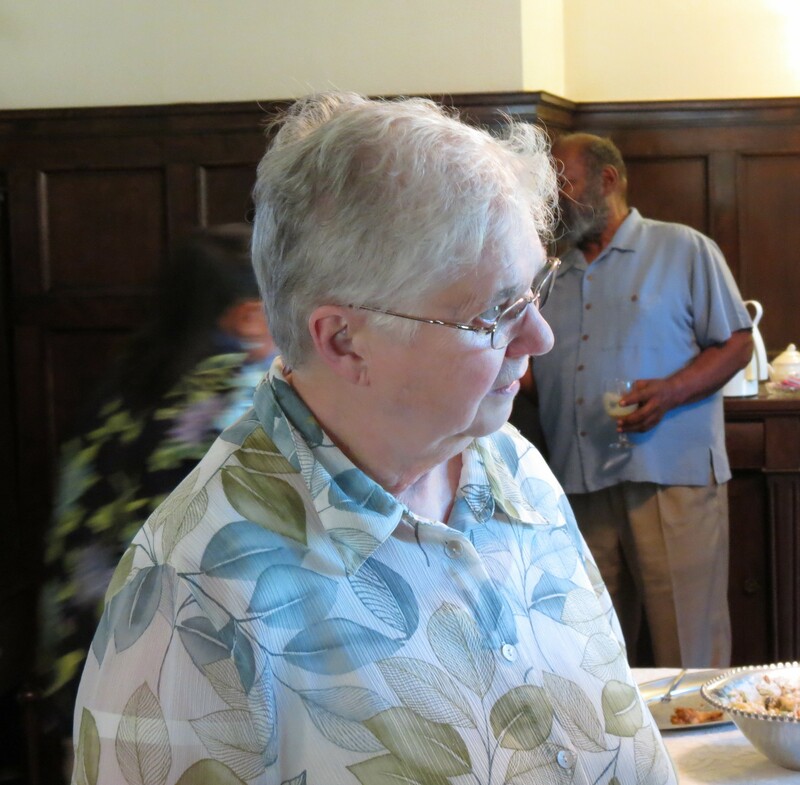 Sr. Elizabeth talked to assembled supporters about the ongoing missions, challenges and opportunities encountered by the HVM sisters in Nigeria. Sr. Elizabeth was also able to carry home in her luggage and show examples of recent HVM work products including the superb “Our Catholic Faith” catechism created for Nigerian school children, the wonderful “I Praise You Lord” music CD recently produced by Sr. Clare Emeroum, and examples of the beautiful knitted wear produced by participants in the HVM Women’s Empowerment Center operated by Sr. Lydia in Gwagwalada. 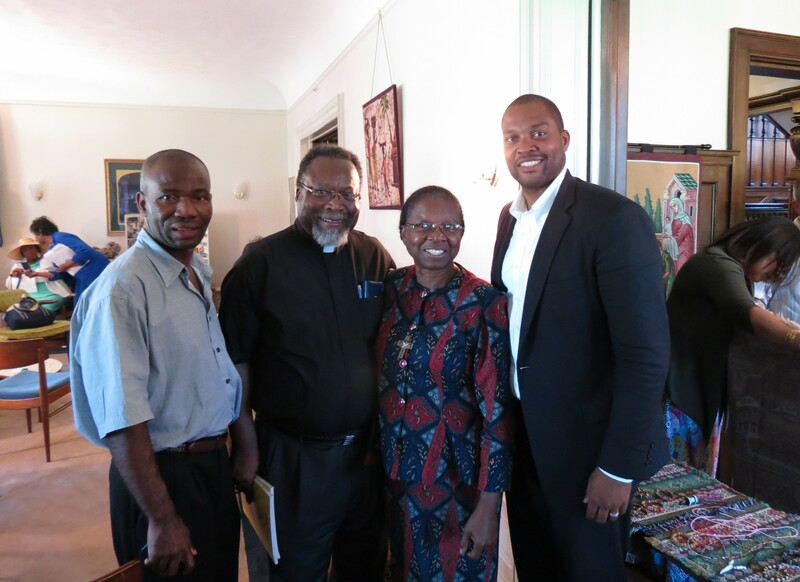 Above, left to right, Father Ted Parker of St. Charles Lwanga Parish, Detroit, Sister Elizabeth Harris, HVM, and Representative John Olumba, Michigan House of Representatives, District 3. Above, Ms. Lorielle Walker (granddaughter of Beatrice Cochran) and Thelma Wilson of the SHVM fund-raising committee staffing the sales table after the presentation by Sr. Elizabeth. 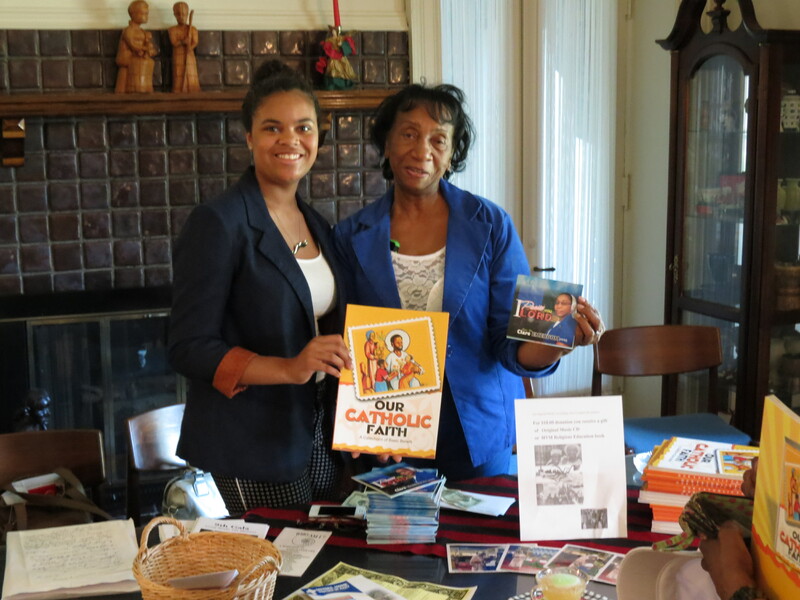 Lorielle Walker is holding the “Our Catholic Faith” youth catechism produced by the HVM Sisters in Nigeria. Thelma Wilson is holding the “I Praise You Lord” music CD featuring vocals by Sr. Clare Emeroum with Nigerian instrumentation. Both the catechism and the music CD are important features of ongoing HVM outreach and fund raising efforts. 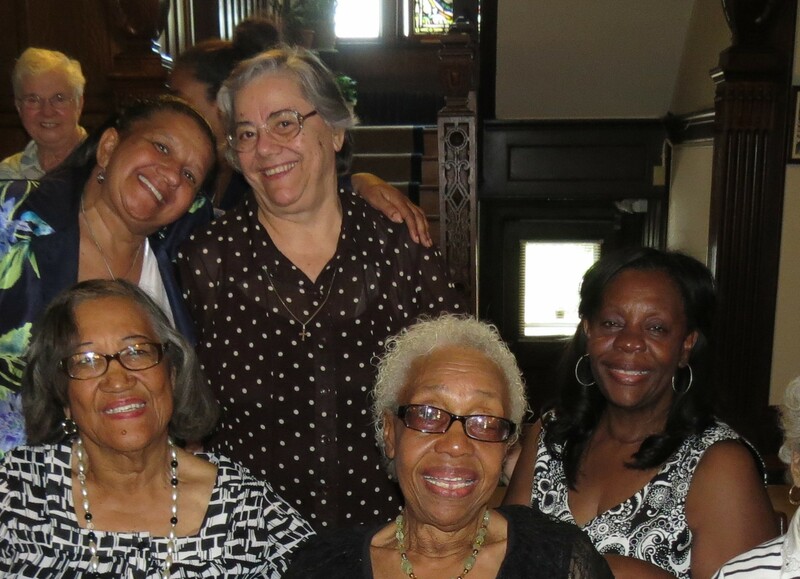 Above, left to right, front, Sister Elizabeth Harris, Alta Sears, Mary Sears, Pat Roberts, middle, Denise Sears, back, Fr. Ted Parker, Rene Bascombe, Kim Horton. Above, Sister Helen Ingles, IHM. Sister Helen is a member of the HVM finance advisory Committee. Six smiling ladies: Sr. Helen Ingles, IHM, Kim Horton, Sr. Rosemarie Abate, HVM, Alta Sears, Mary Sears, Denise Sears. Rene Bascombe and Samuel Oneyene. 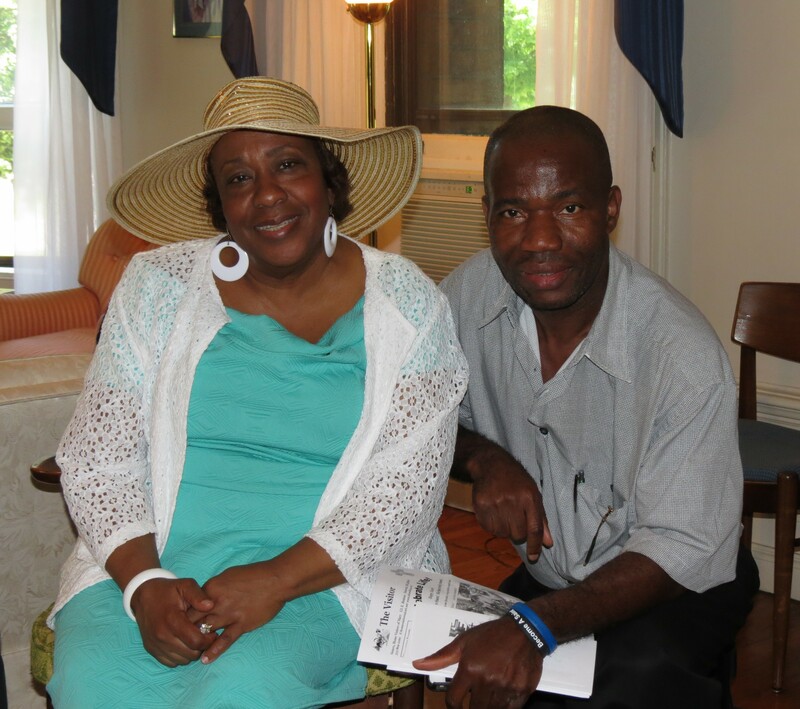 Mr. Oneyene is a Nigerian- born member of the HVM fundraising committee and a member of the Knights of Columbus. Left to right, Mr. Samuel Oneyene, Fr. 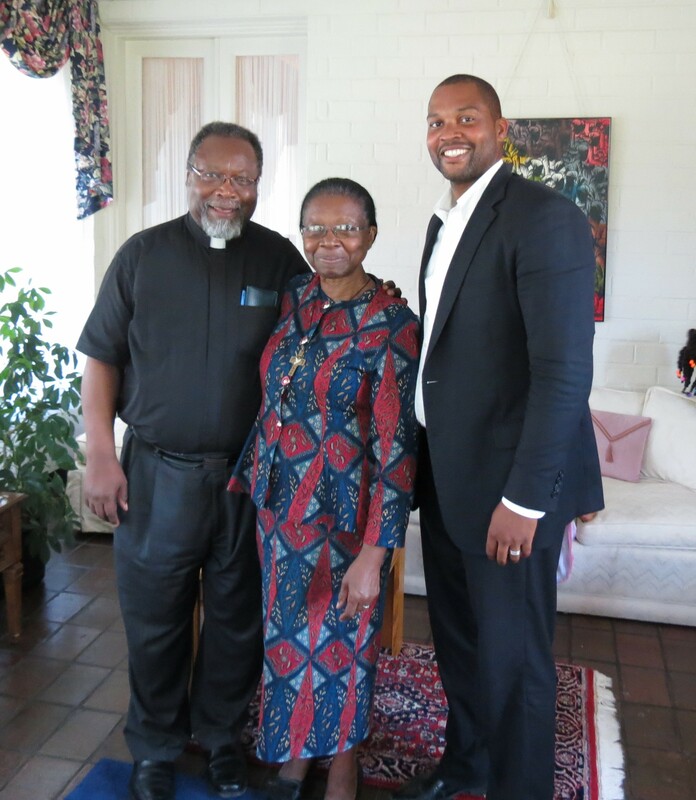 Ted Parker, Sister Elizabeth Harris, Representative John Olumba. 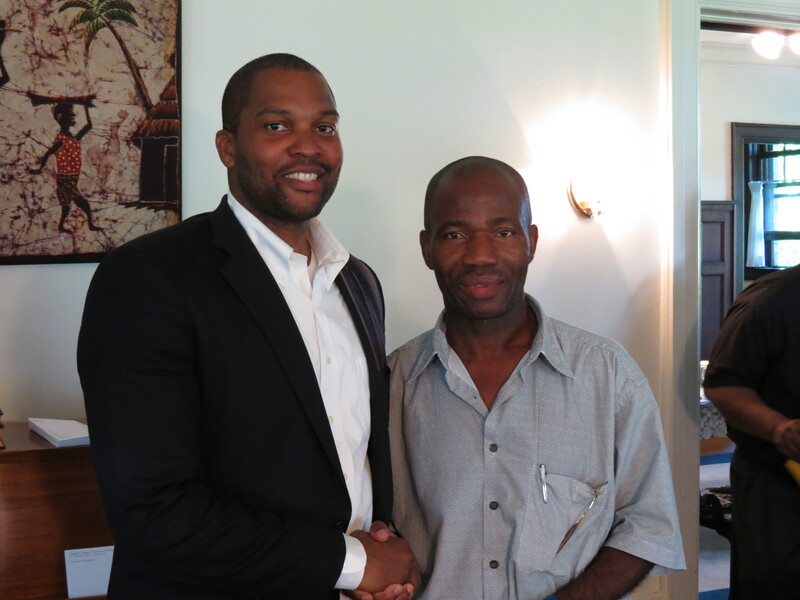 Representative John Olumba and Mr. Samuel Oneyene. 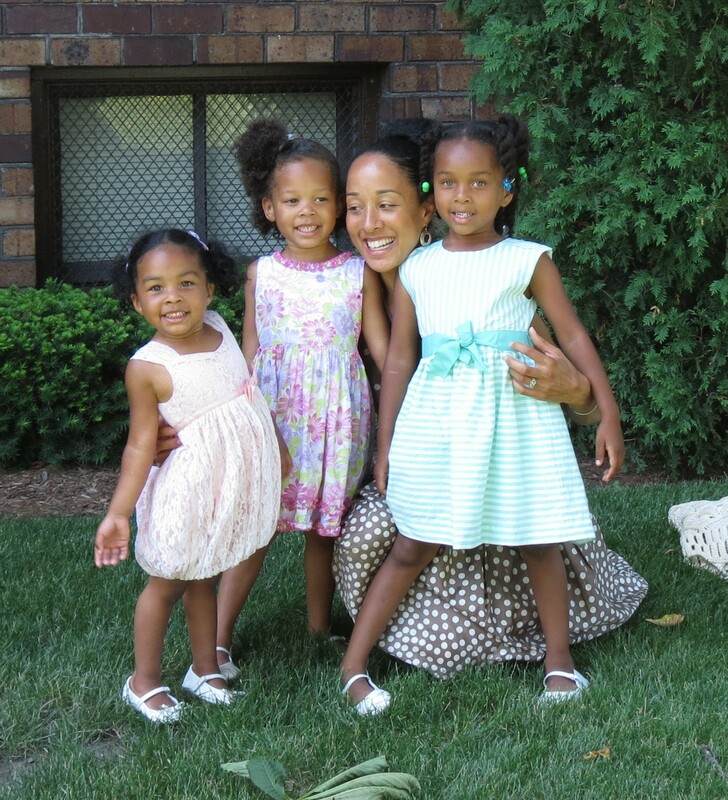 John Olumba’s beautiful family: left to right, Azariah, Keziah, wife Charsha, and Eliezra. Two-year-old son Emmanuel was asleep and not able to join the photo. 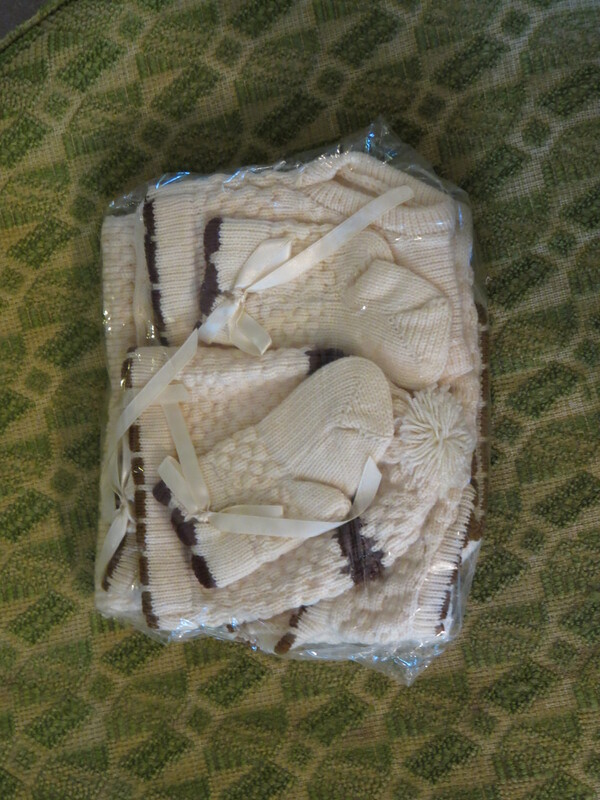 Example of the beautiful knit wear that can be produced by graduates of the Sr. Mary Schutz Women’s Empowerment Center in Gwagwalada. Young Nigerian women are able to support their families from home via a small knitting business after learning how to operate knitting machines at the center. Not enough machines are available for all who could use them. Each costs about $200 US. Please contact SHVM if you wish to donate one or more machines for this worthwhile cause. This entry was posted in Uncategorized on July 11, 2014 by shvmblog.